Carter road Khau Galli – Cool sea breeze, young crowd and a great vibe – the Carter Road Khau Galli near the Bandra promenade offers more than just great food. Packed with famous street food joints and small eateries that serve up an explosion of flavours and textures, this Galli’s star attraction is the ubiquitous shawarma. The stalls also offer a wide range of other culinary delights, such as momos, falafels, wok-fried Chinese preparations, and spicy, lime sprinkled corn on a cob. Don’t forget to dig into scoops of frozen yogurts, sweet cupcakes or freshly made waffles for dessert. It’s a blink and miss joint. But the crowds would surely draw you towards it out of curiosity. Watch that man juggling with multiple orders, cooking, customizations and all. It’s a one man show. The parathas are outstanding. Brought pre-cooked and fried there, served with curd and pickle. Try the Aloo, Methi and Paneer ones. You’d have to arrive early, else they may run out of parathas, and you out of luck. 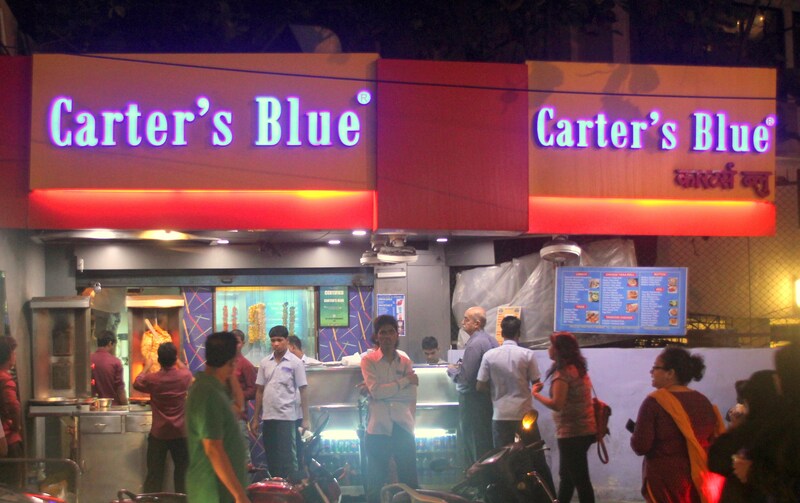 Being located at carter’s, both Carter’s and Carter’s blue are a well known landmark. You will find in youth mostly hanging around here, getting parking is abit difficult during daytime and weekdays. The place is well known for its top notch quality of Shawarma. The Chicken Shawarma was amazing in taste, can list in my one of the best Shawarma till date list. A must visit place for Shawarma lover’s. The ambiance is also well maintained, staff is also good. Good place to go with family. A tiny little place located off carter road with authentic dimsums and the yummiest sauce. Very pocket friendly and bang on with flavours this is a little hidden gem in the otherwise bustling carter road food stretch.Chicken momos here are divine ( with the sauce), The Thukpa soup is amazing ( perfectly spicy) , Kyongs Chilli Chicken is amazing as well. 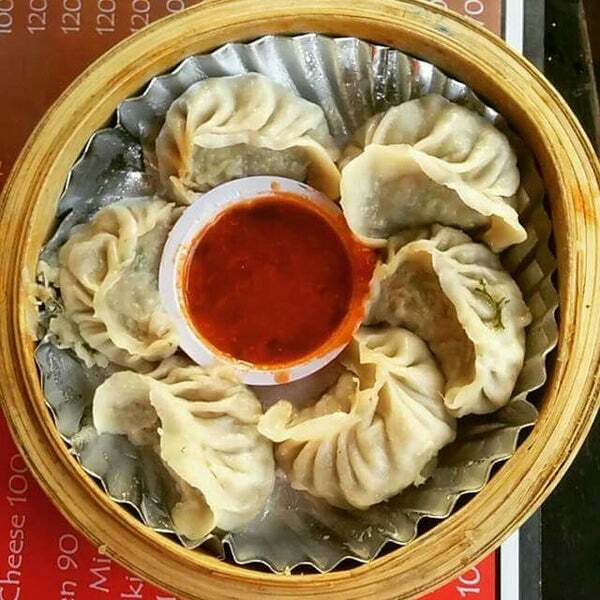 Prawn momos- Cheap tasty and plentiful. Don’t be fooled by the size of this place or the exterior. If you love big, juicy, burger patties cupped within deliciously soft bread and fresh veggies and cheese you’re in for a treat. Not the BEST in town but good all the same. Fries and potato wedges are the best accompaniments for the Arabian, Italian or plain old Chicken Burger- give it a shot and you won’t be disappointed. Wok in the Box is by far the most popular having outlets at prominent locations in the city (Bandra, Lower Parel, Fort). Five Fat Monks serves the largest portion but charges slightly more than the other places. Wok Express has a number of outlets as well and has the plus-point of adequate seating. Wok This Way’s menu has better variety- soups, salads and woks to go with your wok. Situated just outside of Carter Road is a quaint little cake shop called Guilt Trip. Boy, if you want to go on one, you should take a walk down this lane. Every chocolate cake I have ever tried (the more recent being a chocolate ganache cake) is oozing with love and yumminess. The cupcakes are also very good (red velvet being my top choice). The guilt is worth it- go for a run on the promenade if you can’t deal with it but do pay your tribute to Guilt Trip before that.They have some amazing cheesecakes and cupcakes. A small cosy place located in Bandra, perfect place for weekend breakfast. This place is too good for American Breakfast and cheesecakes! If you want to have a perfect start on sleepy weekend mornings, this place will surely bring your adrenaline rush back in peace. They have the best cheesecakes. If you’re ever craving for red velvet, this is the place you go to for red velvet cheesecake. Melts in the mouth, melts the heart. 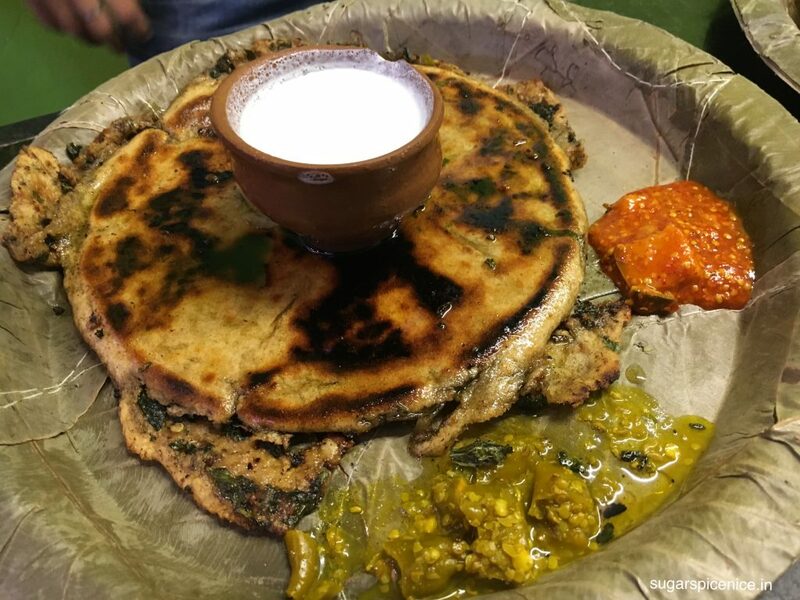 Here’s a look at some of the popular Khau Gallis of Mumbai that you must check out on your next trip to the city.